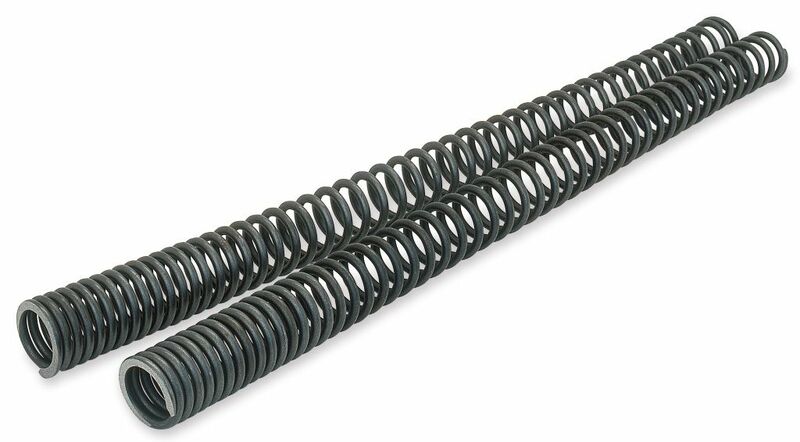 I've decided to get me some progressive springs in the front and have some questions. Is it hard to do the work by myself? What parts except the springs do i need to order? How much oil is recommended in the forks? And what type? For your info I'm changing to WILBERS Zero Friction springs. Good question Mbay, this is what this forum is all about....getting info from people that have done it. The seller might say it's a job for them to do, making more money from them and it could well be a 1 hours easy job you could tackle yourself. I want to do the job by myself, just so i learn how all with my bike works. I'm just wondering about the parts i need, like dust seal and so on. And how much airgap/oil in my fork i need. Well, I'm gonna ask my dealer but i also wanted input from the riders here who actually uses the bikes after the installs. They may have an other opinion of how much oil/things i need. I have not used progressive springs on my Tiger but I have used the progressive Wilbers on my TDM. It's an easy install but I have found them to be a little more firm than the OE ones. Bought exactly the same from Wilbers, no additional parts required, 1 ltr bottle of 5W fork oil to do the job as recommended by Wilbers. Going to change them in the next few days, relatively straight forward job. Fitted the Wilber progressive springs with 5W oil, still to test, weather is crap. Springs were slightly longer than the standard, 25mm - 30mm, made it a bit awkward to get the fork tops back on..